Ravin Premium Lot ! Brand New, 4 Bedroom, Great Gulf Home With Beautiful Layout. Lots Of Upgrades!Hardwood Floor In Main And Second Floor. Open Concepts Kitchen With Double Sink And Granite Countertop. His & Hers Walk In Closet In Master Bedroom. Bright Walkout Basement. 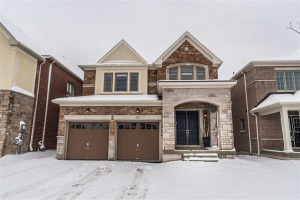 Close To Shopping Center, School, Hwy 404. All Electrical Light Fixtures, Granite Counter Top In Kitchen, Glass Shower Door In Ensuite.